If you are looking for a reliable auto mechanic for Saab repair in Indianapolis, then look no further than ASG Automotive! 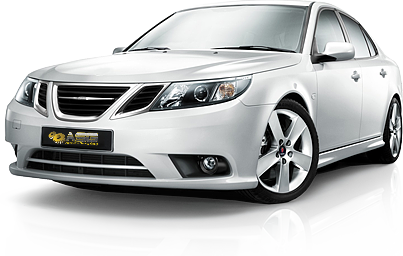 We are the auto repair shop that will take incredible care of your Saab! Our owner, Craig Douglas, has been working here since 1999, ten years before he bought the business in 2009! Everyone knows Craig for his troubleshooting mastery, and if you forgive the pun, we promise that your Saab’s auto repair won’t end up as a “sob story”. Even dealerships send us repair projects on their used car trade-ins for things they know nothing about or don’t have the equipment. The Saab corporation has been through major changes in recent years and has ceased production of gasoline-powered cars. You love your Saab and want to keep it running well for many more years to come, and ASG Automotive can make sure your wish is fulfilled when you bring your Saab in for regular service. Craig, ASG Automotive’s owner, has invested in all the factory equipment and factory programming for Saab repair, as well as all the factory tooling. Craig is a master tech who excels at troubleshooting vehicle issues. He’s a problem solver extraordinaire. ASG Automotive offers quality work with good quality parts, a 4-year/48K-mile warranty that is the best in the Midwest, excellent service, and doing things right the first time. So if your Saab needs auto repair, bring it in for Craig and his team of ASG Automotive auto mechanics to take care of! This is your go-to auto repair shop in Indianapolis to get the job done for your peace of mind.